In my last post I told you about all the fun I have been having and how I haven’t been my best when it comes to exercise, so I wouldn’t blame you if you assumed this post was about me actually drinking in a bar. 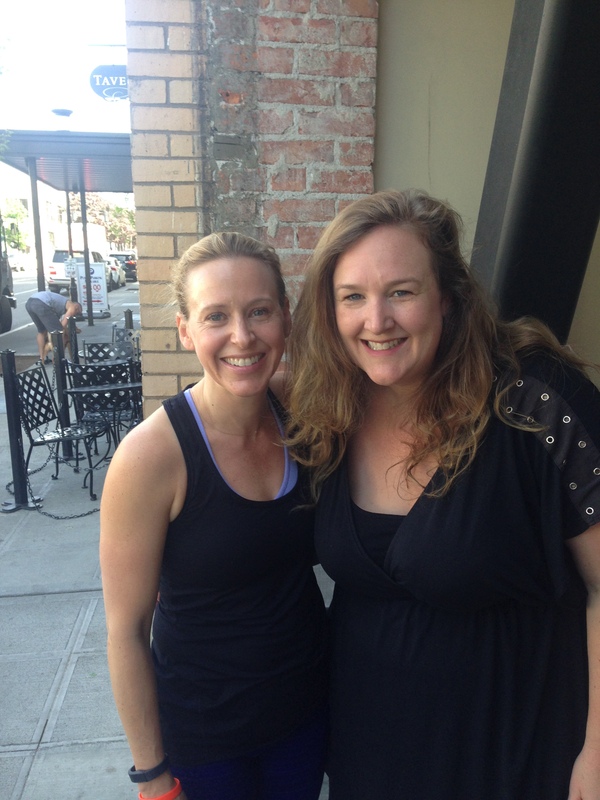 It turns out fun can be had with multiple bars/barres, enter Barre3 in Seattle. I was home for a quick visit and my good friend Sara asked me to join her at her fitness class, Barre3, a combination of ballet barre, yoga and Pilates. I knew when I accepted the invitation that it was going to be fun, working out with friends typically is, but I didn’t fully know what to expect of the class. The instructor, Amy Masterson, was very friendly and attentive, aware that it was my first class. We started by doing some warm up stretches which gave me some confidence, I can stretch almost as well as the next person. The tough part began right after the stretching, let’s say four minutes in to an hour long class. I made the mistake of looking at the clock after what seemed like twenty minutes of calf burning to see that really only a few minutes had passed. In the past I believed that calf strengthening exercises were a piece of cake, this class proved me wrong. I had always had a lot of respect for the pose and strength of ballerinas but this reminded me of their true athleticism. We moved from standing to the floor to do the pilates and yoga. I have come to realize that I don’t like the “downward dog” pose in yoga. I feel intense pressure in my wrists, the blood rushes to my face threatening to make me pass out and my palms become so sweaty I slide all over my mat. What I do love about yoga is when instructors allow for adaptations to poses for those who struggle like myself. I held the position as long as I could before coming down to my knees with the support and approval of Amy. The class was great, the company was amazing and I had fun at the barre, though I would be lying if I said it was more fun than the bar. This barre however, worked out my body and soul while the other bar just works out my tolerance and wallet. I think I made the correct choice in bars/barres, plus it was only 10:00 in the morning.